Safe Driving School believes the value of educating the next generation of Australian drivers and the importance of Safety of everybody on the road. We offer Driving Lesson Parramatta and other suburbs of Sydney. We have the highest qualified, most experienced trainers. The easiest, most up to date protective driving techniques available to make you a safe, protective driver will be taught. Our goal is to inform and educate people about the need for more intensive driver training and to promote traffic safety on our highways and roads, which can save lives. Defensive driving course is available in our institute. 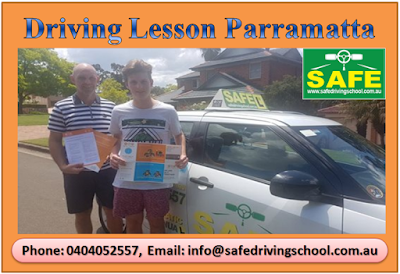 Safe Driving School offers driving lessons by professionally driving instructors Sydney that teach you safe and correct driving methods in Sydney. We also help you become a safer driver for life and guaranteed to be of better quality and value with very reasonable prices. Join our driving school quickly and learn driving lesson easily with experienced driving instructors. Call us now at 0404052557 for more information.